India News, successfully hosted the Haryana Gaurav Awards – Haryana Ki Shaan on Monday, February 26, 2018. Shri Manohar Lal, the Chief Minister of Haryana, was the chief guest at the elaborate event held at the Taj, Chandigarh. 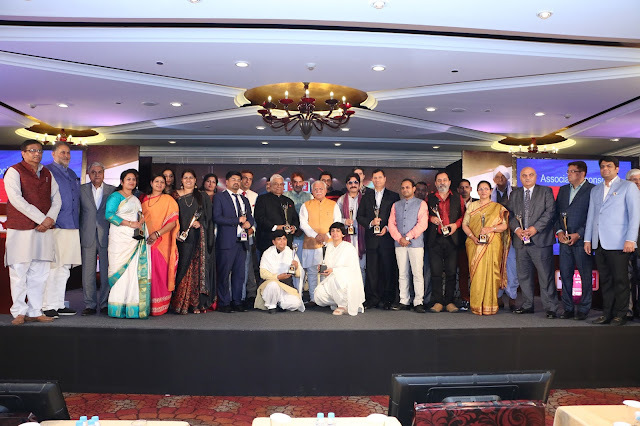 Haryana Gaurav Awards – Haryana Ki Shaan brought the spotlight on high-calibre individuals from the state, known for having created extraordinary success stories through their work that inspires an entire state, and the nation at large. The award took genuine pride in the efforts of real-life heroes from the state and saluted them for resolutely chipping away at their goals to turn simple life experiences into something extraordinary. Presented by RAS India and co-powered by Priniti Foods, the event felicitated star performers in the following award categories: Health, Education, Social Welfare, In-Vitro Fertilization (IVF), Service & Training, Real Estate and Corporate Social Responsibility. Pooja Namkeen and FB Nutrition were the partners and Dr Ortho and Multani Kuka, the associate sponsors for the event. The winners were carefully screened and selected by an esteemed panel, comprising members of the editorial board at iTV Network, based on their individual proficiency and contribution to the respective areas of expertise. MR. SANDEEP AGGARWAL, FOUNDER - SHOCLUES AND DROOM recieves award in the"DIGITAL ENTREPRENUER OF THE YEAR" category. Request Mr. Rishabh Malik & Mr. Mohit Ahuja to collect the award on his behalf.